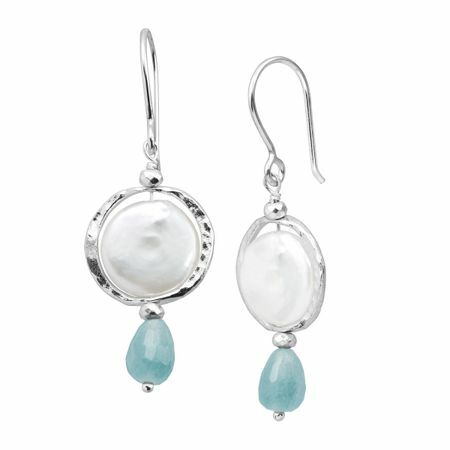 Freshwater coin pearls are balanced with silvery hematite beads, offset by pear-shaped blue quartz for a classic pop of color. Earrings measure 1 1/4 by 11/16 inches and feature French wire back findings. Pieces come with ".925" sterling silver stamps as symbols of guaranteed product quality.